Personal trainers generate thousands of leads from the internet every day. The number one question that I get from personal trainers that I speak to is, what is the best way to get clients for my personal trainer company? In this post we will discuss how to advertise a personal trainer business on the internet, and why online advertising works. The best way to promote your personal trainer business includes professional website design, local search engine optimization (SEO), pay per click advertising, classified ads, and a strong review campaign. The reason they work so well for personal trainers is many customers start the buying process on search engines when they need a service. When investing in your website design it is important to focus on your personal training services. The goal of your website will be to make sure your website visitors are confident that you offer the service that they are looking for. Many visitors to your site will assume you don’t offer the service if they do not see the service they need listed on the site. They best way to do this is to provide plenty of content on each service you offer. For example, when you show in your list of services weight loss, provide photos and a link to detailed description of how you can help people lose weight. You will need to make them feel like you understand their needs and show that you have been able to help others reach their weight loss goals. You will need to do the same thing with each service you offer whether its weight gain, sport specific training, weight lifting, aerobics, insanity training, body building, or boxing lessons. The next thing that you will need to do with your website is to always add new content. The best way to do this will be with a blog. Take the time to talk about issues you clients talk to you about, questions they may have, or even new programs that you plan to offer. The key here is to always add new information. Lastly, when it comes to getting very good conversion rates, make sure that it is easy for them to find your address. Personal training clients are known for simply walking into a to look around to see the facility. If you have a small facility and operate by appointment only make this clear on your contact page. For personal trainers that only offer in-home services, make sure that you are clear about the services you offer as well. Local SEO is very effective for personal trainers because most people prefer to work out within a 10 mile radius from their home or place of work. When someone is looking for a gym, or trainer they generally search the city they live in or the city of which their office is located for this primary reason. Does this mean that you are limited to only the people in your city? Not exactly… What this does mean is that you can maximize your return by being the #1 personal trainer in your city. The further your client has to drive to your facility the lower your chances of getting them into your gym or studio. While many personal trainers get plenty of business with local seo, many still require additional leads. If you are looking to really get calls coming in, I recommend a strong pay per click campaign. With your campaign your ads will need to focus on results. Most clients are looking for the end result from the beginning. Talk about what you can do and how fast you do it. Online classified ads are generally mediocre for generating leads for businesses. However, I have found that for personal trainers this can be a great way to get people to sign up for boot camps, aerobics classes, and group training. When you are ready to put together group training work with your web or graphic designer to put together a beautiful ad and launch it on Craigslists, Olx, Backpages, or whichever you prefer. While this can be effective, I recommend you speak with your SEO in regards to the best way to do this in line with your SEO campaign. Getting reviews from your clients is vitally important for the success of getting new clients from the internet. Google Places will be the best place for you to get your reviews because it will show up with your local listing. There are personal trainers in major cities like Atlanta, New York, Miami, Houston, and many more with hundreds of reviews. The better job you do at getting reviews from your clients, the greater chance you have at securing long term success online. What Is The Best Way To Promote My Contractor Business To Get Customers Online? The internet has created a huge opportunity for contractors to get customers online. The number one question that I get from contractors that I speak to is, what is the best way to promote my business online? In this post we will discuss how to advertise a contractor business on the internet, and why online advertising works. The best way to promote your contractor business includes local search engine optimization (SEO), and pay per click advertising. The reason they work so well for contractors is many customers start the buying process on search engines when they need a service. Local SEO is very effective for contractors because most people like to do business with local companies. When a person sees a website for a company located in the same city they’ re in, they tend to believe that they will have to pay less for the service and receive the service faster. Whether they have an emergency like leaking water from their roof or simply looking to remove a Kool-Aid stain from carpet, many people feel that a local company will respond faster and deliver results at a better price. The easier it is to find your company website on the first page of search engines the better your chances are at getting customers. Pay per click is very effective for contractors because it is the best place to put specials and coupons on the internet. If you have a service that you can do faster, cheaper, or simply better than your competitors than pay per click is the best way for you to show off your talents. Let’s say that you are able to offer 30% off coupon for a service you offer. This coupon will make you one of the cheapest providers of this service in your city. Pay per click will give you the opportunity to instantly advertise this special only to people searching for your service right now. Let’s say that you are able to do your service better than any other company in your local market and you have photos or awards to prove it. Pay per click will give you the opportunity to promote your company with phrases like “Award Winning Contractor”, or “Best Service In Town”. 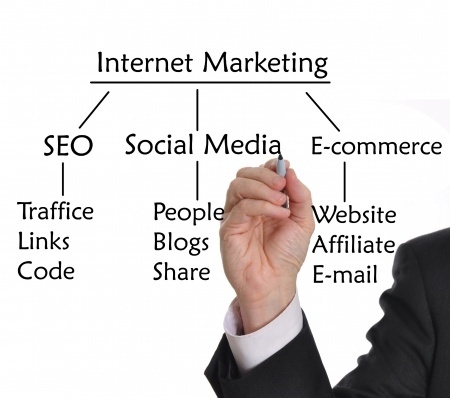 These terms will give you a great opportunity to generate traffic to your website. Find out how to generate more referrals from customers and the internet, to convert those customers when they arrive to your site. Choose your industry from the list above to find out more details of how these services can benefit you. Many business owners are paying too much for their pay per click advertising and do not know it. The number 1 way to know that you are probably paying too much for your pay per click advertising is if your site is not being optimized with your campaign. If your website has never changed since you started your pay per click, chances are you are paying too much. We will uncover how to improve your website so that you may pay less and gain more from your internet advertising. Choose A Specific Advertising Area – A very common reason why many businesses pay too much for pay per click advertising is marketing outside of their service area. Make sure you choose the exact area that you would like to target, and create a campaign for those areas. Be sure that your website contains information about the areas that you are targeting. For example, if you are marketing to a city or state, include that city or state on the landing page of the ad. If you have a pay per click advertising company managing your campaign be sure to get exact information on your service are. There is no need to receive clicks from an area that you will not service. Make Ad Groups with Keywords That Are Related – Create ad groups with similar words. The more related your keywords are to each other, to the ad, and the content on the landing page the less you will pay per click to your website. For example, if you are creating a campaign for a store that sales apples oranges, and watermelon and you wanted to increase your apple sales. You would create an ad group for apples, create an ad with an apple discount, choose keywords specific to apples, and have the ad link to the apples page of your website. Add New Keywords and Remove Poor Performing Keywords Regularly – Monitor your website analytics to see which search queries resulted in a click to your website. If the clicks that you receive are from keywords that you believe will result in a potential customer, leave them there. If you notice a keyword that is not related to a service that you provide, is simply too broad, or consistently does not convert to a customer delete it. Do some additional keyword research, to find additional keyword opportunities. Pay per click advertising can be a great way to increase quality traffic to your website. However, if your campaign is not maintained properly it can become very costly. Use these tips to never pay too much for sponsored advertising again.